What’s A Wrongful Death Claim? 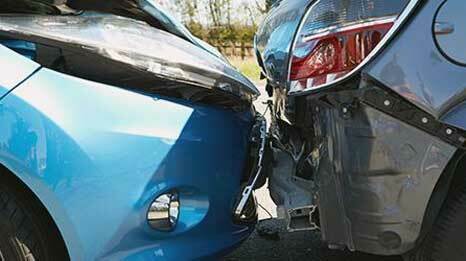 Each year, approximately 10 million different types of car accidents happen on the road. Even minor fender benders can result in whiplash, concussions and other injuries. To protect oneself after an accident and to get a fair compensation with the help of a car accident lawyer in Cheltenham that will cover all medical expenses, follow these tips. Don’t hesitate to take photographs and videos of the scene of the accident. In fact, the more photographs that are taken, the better. It’s important to take photos from various angles, and to show the road conditions and layout in the photographs as well. This will help the lawyer better reconstruct the accident, and build a strong case. Many victims are pressured to settle as soon as possible. The best course of action is to settle once Maximum Medical Improvement (MMI) has been reached. This is basically when the physicians have determined that the patient’s condition will no longer significantly improve. By waiting until MMI is reached, victims can better assess what future medical costs to expect. Anything that a person says during the accident or to another insurance company can be used against them in a court of law. Because of this, it’s important to only discuss details with an auto accident lawyer in eastern Pennsylvania present. A lawyer can determine what details should be included, and how to phase different answers in the best way possible. To get a fair compensation, it’s best to seek legal advice from a law office in Cheltenham first. The professionals can help their clients build a strong case against the other parties, so they get the compensation that they deserve. The experienced family law team at Randy H. Kaplan Law Offices will help you through any difficult times. 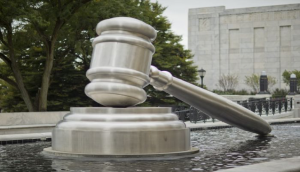 We offer compassionate legal assistance and are prepared to aggressively protect your rights. If you are considering divorce in Pennsylvania, do not go it alone. We are here to help. You can contact our office online or by calling 215-576-8870 to set up a free case evaluation. Why Hire Randy Kaplan Law Offices? We understand how important your case is and that is why your call receives immediate attention directly from the attorney. We help you understand your options in order to make informed decisions. As a local law practice with multiple offices, we are able to offer reasonable and competitive rates. In over 30+ years we have recovered millions on behalf of our clients and their families. Our drive and our commitment to our clients who are the victims of auto accidents, slip and fall accidents, work related injuries including asbestos claims has led us to have a proven track record of success. Our goal is always to put your best interests first. And we have been successful at it for over 30 years. How do we do it? By being aggressive when you need us to be. If you are unable to work, can't pay your bills and are facing extensive therapy or rehabilitation you need an injury lawyer to protect your rights and fight for you and your case. Remember, nobody likes an aggressive lawyer, until you need one. We take pride in our dedication to our clients and their cases. Firm attorney Randy Kaplan has practiced law since 1982 and has personally handled THOUSANDS of cases including auto accidents, work related injuries business law and employment law. In each and every case we are dedicated to providing our clients with the type of service only a local law firm can provide.